With the ever-increasing volume of information available digitally, finding relevant documents has become quite the challenge! To hunt down the articles we want, we use search engines and type in keywords that narrow down results. Keywords, therefore, are essential for filtering the overwhelming amount of resources available. When we use these parameters in a database or a search engine, we receive a list of results ranked according to relevancy. The more the content of an article reflects the keywords used, the higher the document will appear on the results page. 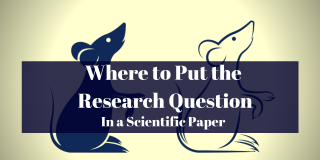 How, then, can we make sure that our published articles and academic papers rank higher on search results and not drown in the sea of publications? The answer, of course, is choosing the right keywords! However, there are some pitfalls with using keywords, so the following is a quick guide on how to carefully choose keywords and what mistakes to avoid. Make sure to follow any instructions your target journal provides regarding keywords. The publication’s rules trump all others! For example, most clinical papers use terms from the US National Library of Medicine’s Medical Subject Headings (MeSH). Many journals request five to eight terms. However, some restrict the nature of the words. For instance, a few journals want single words instead of phrases. Again, double-check journal requirements! 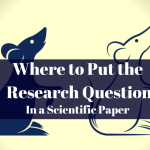 Think about what terms you would use to search for papers related to your topic. Chances are the phrases you choose are going to be similar to what other researchers may use when searching for literature. Note that in rule #2 we used the term “phrases” instead of “words.” In truth, “keywords” is a misnomer. These days, we search by phrase or complete sentence. This is because single-term searches yield a broader list of results than desired. For example, let’s imagine that I want to know the specifics of Jupiter’s air composition. If I type in “Jupiter,” I’ll receive a list containing any document related to Jupiter, but most of them might not be relevant. Therefore, choose keyword phrases that comprise two to four words. Avoid using terms already present in your title, particularly if your journal says not to include them. Why? Your title is searchable and will be weighted (marked to have greater weight by a programming code), so keywords should contain a list of words that supplement your title’s content. 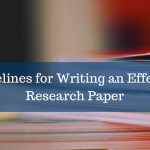 Even if your journal doesn’t restrict title word use in keywords, we recommend using this valuable real estate for alternate terms (see rule #7). Keywords should indicate the general subject matter; however, they should not be too broad. For instance, if you are writing a paper on a newly-discovered epigenetic regulator, you might not want to use general keywords such as “cell biology” or “genetics.” These terms do little to reflect the specificity with which your potential readers search for source materials. Instead, focus on key concepts covered in your abstract. If your research revolves around a key method or technique, make sure the term for it is located either in your title or your keywords. On that note, be careful with spelling/capitalization. While search engines, by default, ignore capitalization rules, hyphenation could be an issue. Make sure you are using the officially recognized written form of each key term. Failure to do so might result in less hits for your paper. Think of generally used alternate terms to ones found in your title. 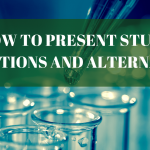 That is, include significant abbreviations, acronyms, and other short-form or substitute names for your topic. Be careful, however, of using acronyms that could have other meanings. For example, HIV would be a safe abbreviation since most hits would relate to the disease. The term, ARC, on the other hand, has significance in many fields: computer programming, engineering, math, and biology, just to name a few. Therefore, if we mean the ARC file format, then we should use the phrase, “ARC file format,” as a keyword. Test your keywords before submitting your paper. 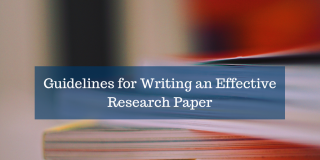 When you enter your keywords into various journal and academic databases like Google Scholar, do the results include papers similar to your topic? If not, revise the terms until they do. Use keyword generators with caution. Some sites such as the one offered by the University of Texas (http://www.lib.utexas.edu/keywords/index.php) provide keyword generators or keyword planners to help you think of other terms you could include. However, make sure that those words actually relate to your paper’s topic. You can double-check relevancy by using the terms as explained in rule #8. 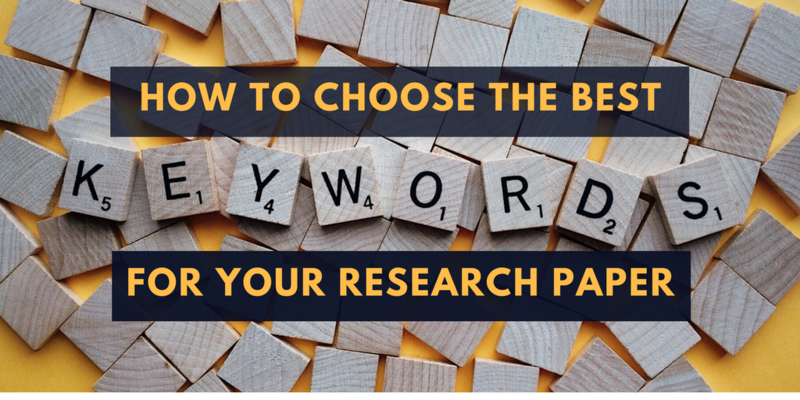 We hope these quick tips help you choose the best keywords for your abstracts and research papers. Remember, the point of these terms is to help your paper gain visibility among your target audience. So, make sure that your search terms are ones that your desired readers would use!